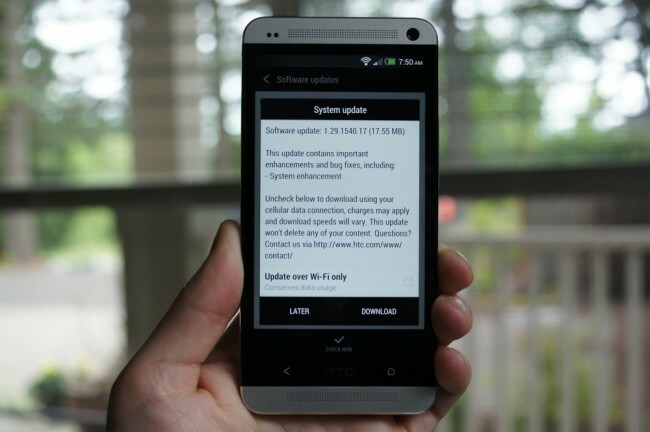 The U.S. unlocked HTC One in my possession received a minor update this morning to build 1.29.1540.17. As you can see from the picture, it’s only labeled as a “system enhancements,” so we’re not looking at Android 4.2.2 or a new version of Sense 5. The update weighs in at 17.55MB, and will only take a minute or two to download and install. I was hoping that this update fixed the Accessibility-Lockscreen bug, but after testing it, there still appears to be a major issue there. So, we’re in the dark as to what this fixed.